We’d love your help. 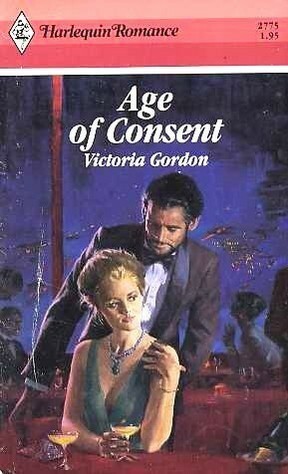 Let us know what’s wrong with this preview of Age of Consent by Victoria Gordon. Helen was jobless and broke. So naturally Dane Curtis offered to help, as he always had in the past. "I knew you were a walking disaster area," Dane teased when they reached his farm in Tasmania. "But I didn't expect you'd never grow out of it." Which left Helen little room to reveal her latest predicament. She no longer had a simple adolescent crush on Dane. And considering the aspirations of the beautiful Marina Cole, not even Dane could help her now. To ask other readers questions about Age of Consent, please sign up.